Take the whirl on the Riptide Express that offers a fast and furious experience or brave the twist, turns and drops of our awesome Roller Coaster. Enjoy the cool and refreshing delights from one of our many concession stands. You can even have a classic tour of the scenery with the Jolly Roger Express, our 1952 antique train. We offer many rides and games for the whole family to enjoy. This is the place to enjoy and relax. We even offer many ways for your family to play. 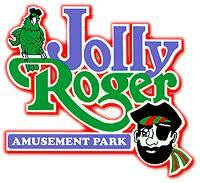 With enough point on your Jolly Roger Passport you can ride as many rides you want. We also have unlimited Ride Pass which grants Free access to all our amusement rides. 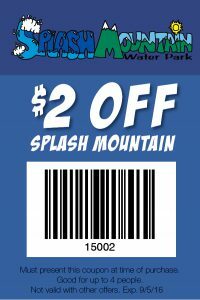 Other Specials & Coupons To view Jolly Roger Amusement Park Admission Tickets, other Specials and Coupons, go to their special page by clicking here. 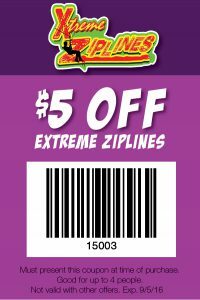 Jolly Roger Amusement Park updates this page throughout the year, so check back to see if new specials and coupons have come in. 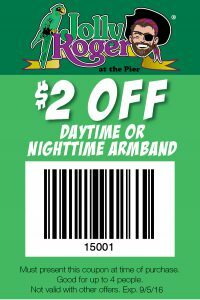 Note to our visitors Jolly Roger Amusement Park coupons and specials can change without notice. So please visit their official website to make sure of the latest pricing and coupons.